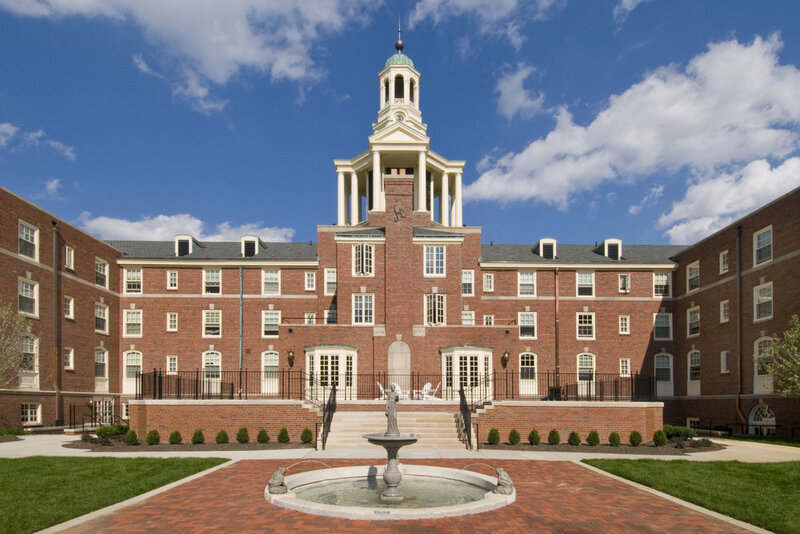 Ohio Wesleyan University’s Stuyvesant Hall originally opened in 1931 as a majestic residence hall housing first-year women, and though a campus landmark for 80 years, it had fallen into major disrepair. 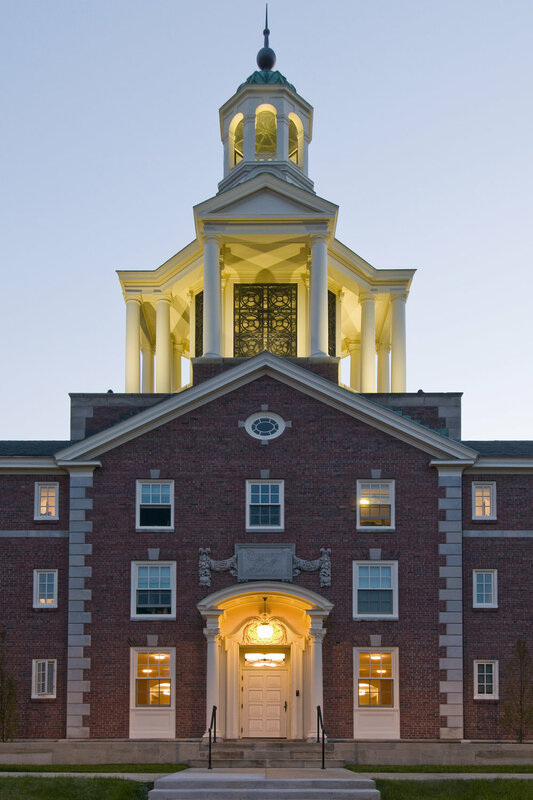 Recognizing “Stuy’s” potential to once again provide a desirable and attractive home for its students, OWU hired Schooley Caldwell to design Stuyvesant Hall’s transformation. 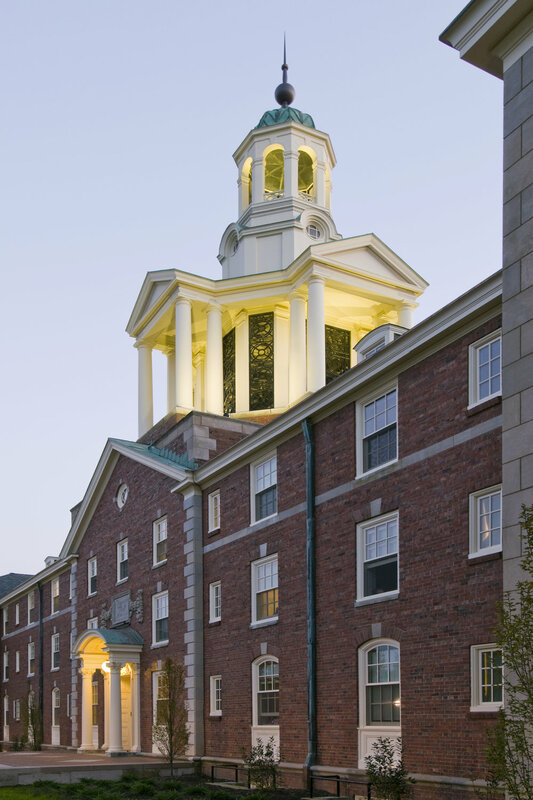 The entire building has been renovated top to bottom, providing upgraded residences with modern technology and new common spaces for the students. The common spaces encourage social interaction at varying levels. 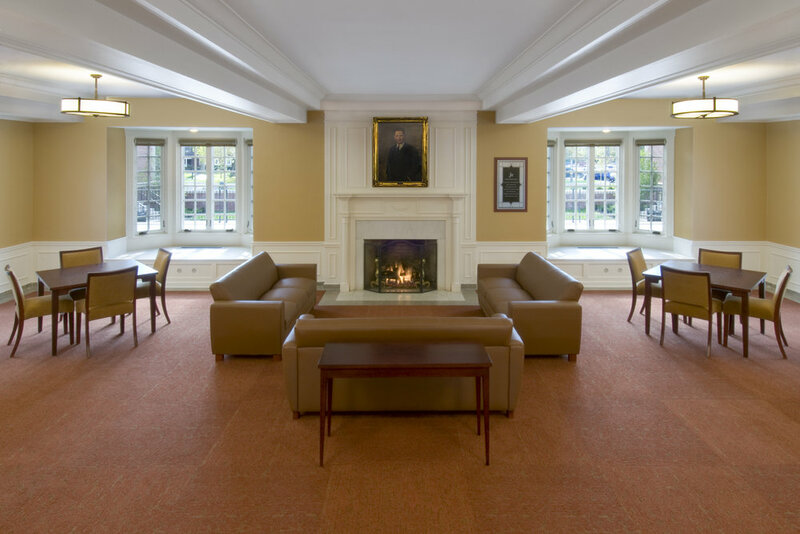 Small groups can utilize the study lounges or the common kitchen; larger lounges accommodate whole-floor activities; and the living room, outdoor terrace with fire pit, and “rathskellar” with casual seating, televisions, gaming, and pool tables support large groups and functions. The renovated Stuyvesant also boasts a coffee shop, centrally located laundry facility, and wellness center, and is expected to achieve LEED certification. 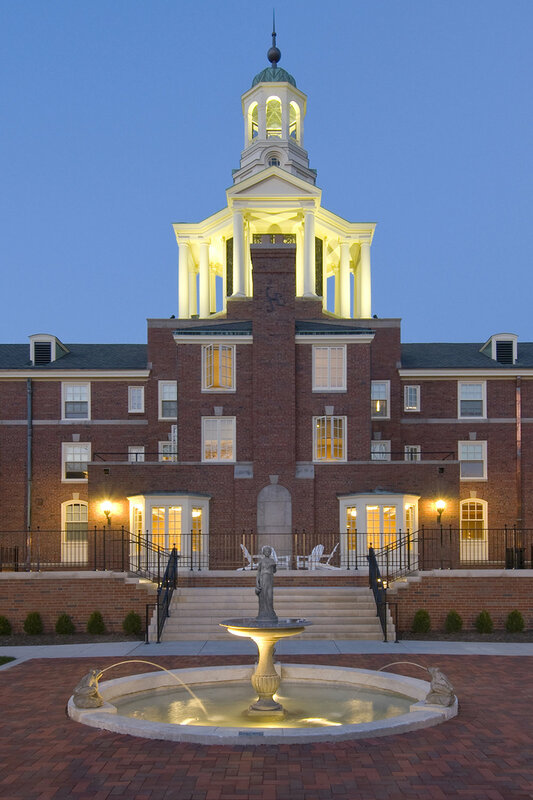 For this project, Schooley Caldwell received the “Preservation Merit Award” in 2013 from the Ohio Historic Preservation Office.